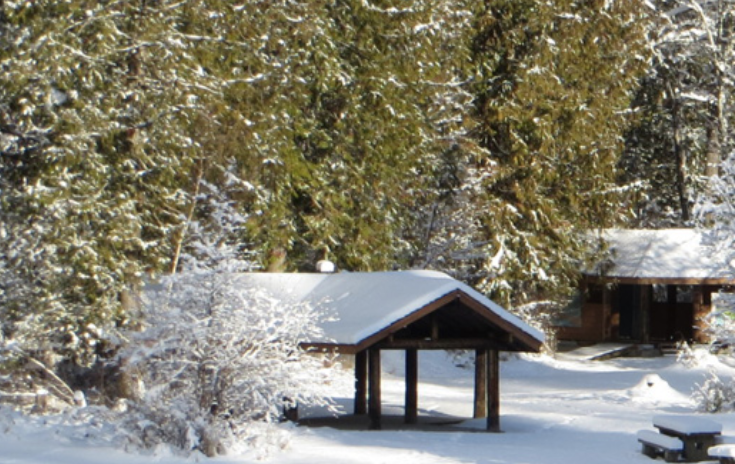 This year the annual Winter Day on the Trail will be taking place on the Slocan Valley Rail Trail takes place on Family Day, Monday, February 18th from 11 a.m. to 2 p.m. The crew from the Slocan Valley Heritage Trail Society (SVHTS)will be partnering this year with Slocan Valley Recreation to offer a fun-filled afternoon. The event will be set up at the Winlaw Station and Trailhead. Like last year we will be hosting the very popular ski waxing demo (even the newest skis can benefit). For a $15 donation they may even wax your skis! But come early, to make sure your skis get done. Of course, everyone is invited to come out and explore the Rail Trail and see what winter has to offer this year. The swans have been seen all along the Slocan River and you might find a few hanging around. There’ll be a bonfire going and refreshments with a hearty bowl of chili and hot dogs being available. It’ll be a great time to catch up on what’s been happening on the Rail Trail and what the future holds. Memberships will be available if you wish to support the Rail Trail. All proceeds of the day will go towards maintaining the Slocan Valley Rail Trail. The Winlaw Trailhead can be reached from Highway 6 in the Slocan Valley. Watch for the large directional signs located on the highway. If requiring more information you can contact the SVHTS at 1-888-683-SVRT, or Slocan Valley rec at 250-226-0008.